Bernhard Rothfos | Unsere Dienstleistungen. COFFEE IS OUR CORE BUSINESS. WITH A STRONG FOCUS ON THE PHYSICAL TRADE. Individual and special as coffee may be, it is a globally traded commodity. Unlike other big trading companies, we trade in coffee only – qualities from low grade to high end as well as green and instant coffee. Virtually no one knows coffee the way we do. We bring together decades of experience and progressive knowhow about the product and the international coffee markets. Our main interest is in trading the coffee physically. By doing this, we can assure high planning reliability and minimize risks along the entire supply chain. We see ourselves as a trading company that offers tailor-made services beyond commercial transactions. What we offer. An overview. Although we are developing more and more from a simple trader into a provider of wide-ranging services, our core business is still the physical trading of green coffee for the roasting industry in Germany, Europe and world-wide. tailor-made logistics and financing concepts. If you are not sure which coffee you want to buy, we are pleased to assist and advise you at any time. Every year, several employees from our Trade, Supply Chain Management or Quality Management team travel to coffee producing countries to evaluate the harvest and processing of the latest crop and to deepen our relationships with local partners. In many cases, customers from the roasting industry accompany us. We set high quality standards, starting with cultivation and processing in coffee origins right through to logistics and warehousing. Our sample room is one of the biggest and most sophisticated sample rooms in the international coffee trade. This is where we control and assure the product quality right from the beginning through delivery to our customers. We meet international standards and can offer Organic, Rainforest Alliance, UTZ, Fairtrade and IFS Broker certification. We support you in developing blends for both new and existing products in order to guarantee consistent taste over the long term. If necessary, we can offer pre-industrial processing, such as steaming (Lendrich) or vaporization. At our sister company NKG Kala Hamburg GmbH, we are able to produce vaporized/steamed coffees according to your requirements, specified parameters or creative ideas. Of course, we are in a position to purchase the green coffees you need for defined blends and can mix them to agreed specifications or given proportions before delivering the finished blend to you. We can also submit proposals for innovative blends on request. We deliver the coffee at the final destination reliably and on time. Our Supply Chain Management department cooperates closely with our exporters and customers to move the goods as cost- and time-efficiently as possible. Thanks to long term contracts with shipping lines and carriers, we can offer consistent low freight rates. No matter whether it’s in the origin, at intermediate ports or in the destination country – we take care of safe storage and optimal conditions for the green coffee. 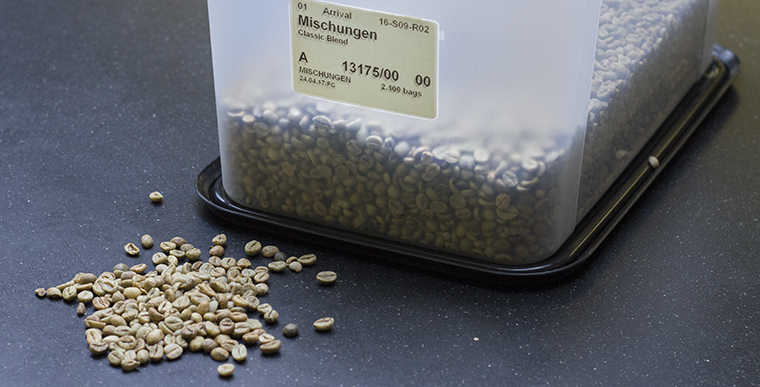 For example, we store the goods at our sister company NKG Kala Hamburg GmbH, one of the biggest and most modern coffee warehouses and process plants in Europe. We can also provide transport and warehouse insurance for all eventualities. For this purpose, we cooperate with the NKG’s own insurance management section, the Ibero Insurance Service, and the logistical specialist I.C.L. Internationale Commodity Logistik. To provide our customers with reliable, up-to-date information, we trace the flow of goods – at any place and any time. We provide just-in-time deliveries, Vendor Managing Inventory (VMI), conditions for supply contracts and safety stocks. When the coffee is on its way, a smooth process and constant communication with all local partners go without saying. We promote regular exchanges of experience and knowledge among all the logistics experts of our global network by international workshops and visits. Coffee is a valuable commodity. Therefore, we provide our business partners with tailor-made financing solutions. With the competence of a strong global corporate group behind us, we can offer various financing options along the supply chain – starting at the farm level (micro-financing) and ranging through the export stage (supplier financing, letters of credit) to the roaster (export financing, receivables financing). Although coffee is traditionally traded in US dollars, attractive exchange rates for other currencies may be possible, depending on the market. As part of the NKG BLOOM program (see also Sustainable Business Models), we support coffee farmers in Uganda with microcredits, disbursed to the farmers’ mobile phones as “mobile money” using an innovative app called fieldbuzz. 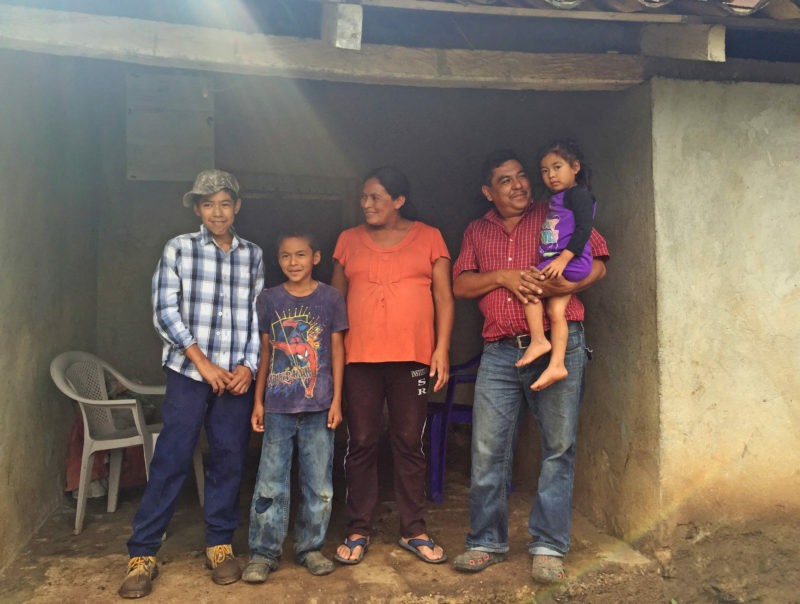 The farmers pay off their microcredits in coffee. Our Futures department is responsible for all our hedging activities. 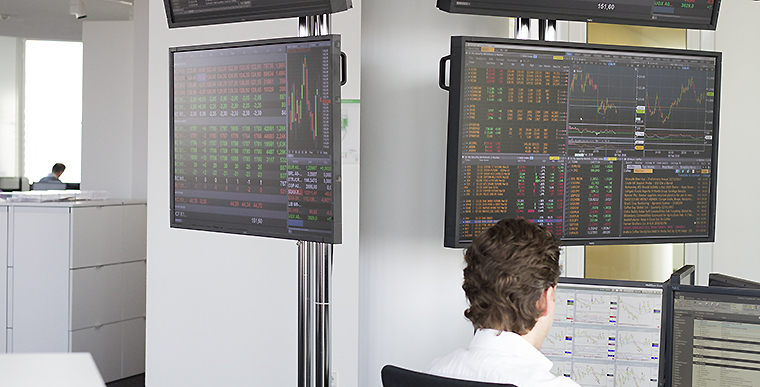 By direct access to the stock exchanges and contacts present at all trading hours, we ensure high quality pricing services for our customers and suppliers. Using electronic trading platforms guarantees the maximum independence in order management and execution. Beside all standard hedging instruments (futures & options), we operate on the OTC market to construct the best solutions for alternative pricings. Independence is of the foremost importance to us, especially in the field of market analysis. We have access to all renowned platforms, such as Bloomberg, Reuters, CQG and ICE Market Data. Our reliable network of banks and brokers extends our knowhow and provides us with up-to-date information about the commodity futures market. Thanks to our high level of specialized expertise which, in a complex market environment, extends even beyond the coffee business, our Futures department takes the lead within NKG and the whole coffee world. Sustainability has long been an integral and significant part of our business and goes far beyond temporary projects. We are not only members of all the main sustainable standards organizations but can also trade coffee with all current verifications/certifications. Furthermore, we develop sustainable business models, strategies and initiatives in various origins for and together with our business partners. In this way, we can support not only our own sustainable behavior, but also that of producers, suppliers and clients. 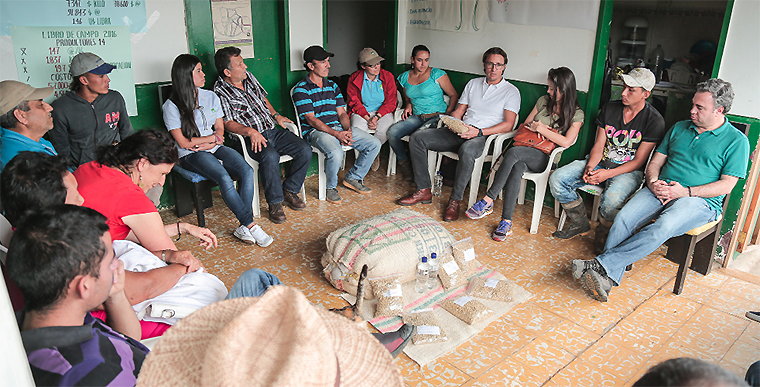 With support from the Hanns R. Neumann Stiftung (foundation) and EDE Consulting, we initiate projects on site to help farmers and suppliers professionalize coffee production on a long term basis. With approx. 1.3 million households, Uganda has the largest number of coffee farming families in the world. Despite favorable agro-climatic conditions for its production and a constant global increase in demand for the product, those smallholder coffee farmers still operate at very low productivity. 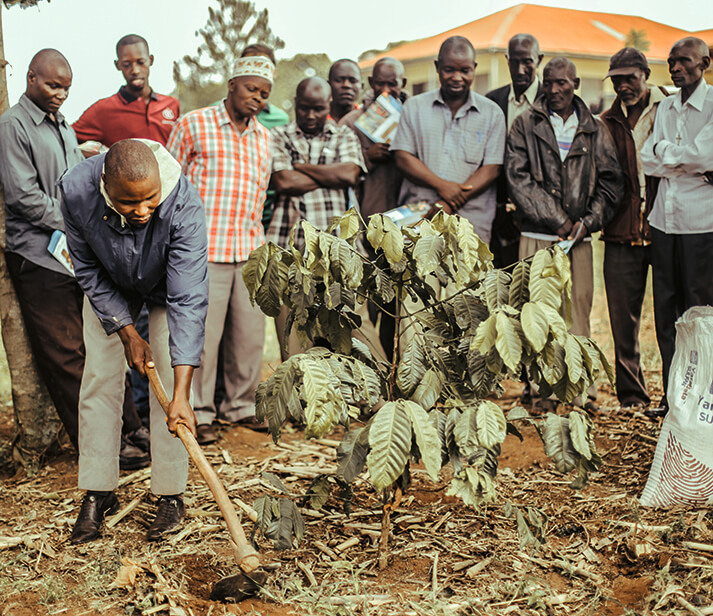 Together with our Ugandan sister company Ibero Uganda and in strong coordination with Neumann Kaffee Gruppe, we therefore initiated NKG BLOOM – a sustainable sourcing strategy that significantly increases farmers’ productivity and exporters’ profit. You want to know more about NKG BLOOM? Coffee production in Honduras has grown rapidly over the past years but still lags far behind its potential. 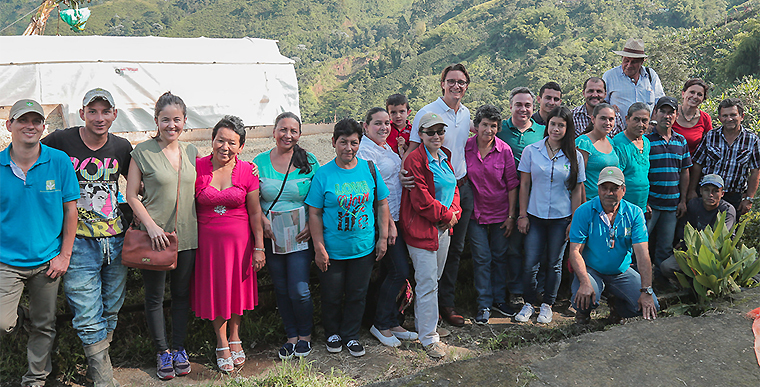 Café con Futuro responds to local challenges and offers extensive support to farmers in the form of education, infrastructure and financing. The idea is to improve their quality of life and productivity sustainably and to increase the coffee export activities of our sister company Becamo. Our portfolio embraces Fairtrade, Organic, Rainforest Alliance and UTZ certified soluble coffees as well as kosher and halal standards in both regular and decaffeinated forms. Furthermore, we offer all kinds of packaging for our products such as bulk, i.e. 25kg cartons, big bags or tins, jars (glass or PET), bags, doypacks, pouches, sachets or sticks. 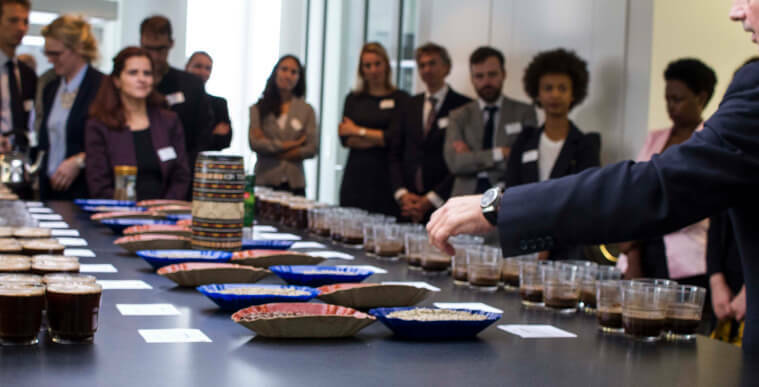 At Bernhard Rothfos Instant Coffee we have wide-ranging experience of quality and quality control, enabling us to ensure that our customers’ taste profile needs are met. Our aim is always to exactly identify those products with a price-quality ratio that perfectly matches the consumer’s wishes. You want to know more about this topic? Our customers and suppliers benefit from our coffee know-how and extensive market knowledge. We assist you at any time and any place in the professional development of employees or training of young talents. Furthermore, we help you to optimize infrastructures and processes on the basis of your individual needs by networking all business partners worldwide. We have access not only to our own employees’ wide expertise, but also to the worldwide partner network of Neumann Kaffee Gruppe, of which we are a member. Thanks to 49 group companies in 27 countries, we receive first-hand information as well as forecasts and can therefore respond earlier and faster to even the smallest changes within the market. A variety of workshops and seminars are an important tool for constantly updating and expanding our knowledge within our worldwide network. Moreover, many of our employees have worked on assignments for partners abroad for several months or even years, deepening their own market knowledge as well as helping to develop the local business.